nEXO is a collaboration of 28 universities and institutes in 7 countries over 3 continents which intends to search for the neutrinoless double beta decay of 136Xe. A link to the homepage can be found here. 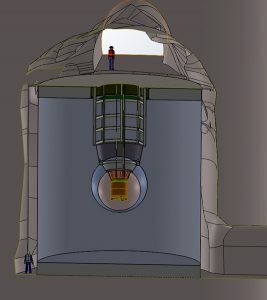 Artist’s view of nEXO at the SNOlab underground laboratory. In search for no neutrinos.